Happy December! 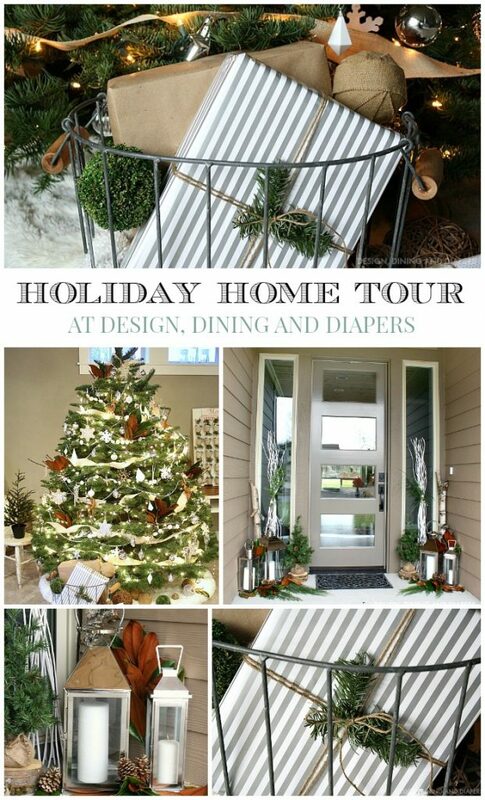 It feels so so good to be kicking off my first mini holiday home tour of the year! If you are stopping by from Remington Avenue, so great to have you here! I’ve been busy decorating our home over the past few weeks. It’s a process I love and really enjoy doing each year. 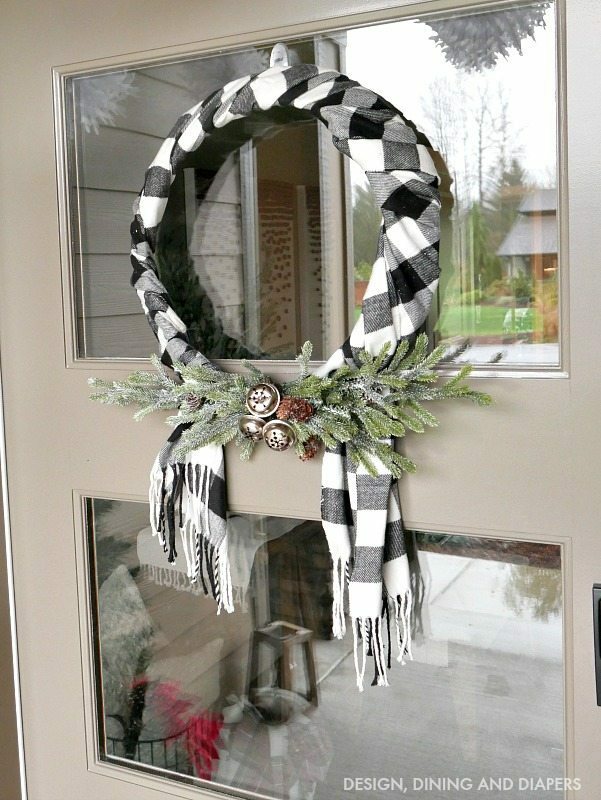 Every year I like to pick a different theme for my holiday decor and this year I’m all about black and white and plaid! It’s probably the most ‘traditional’ Christmas decor I’ve ever used before. 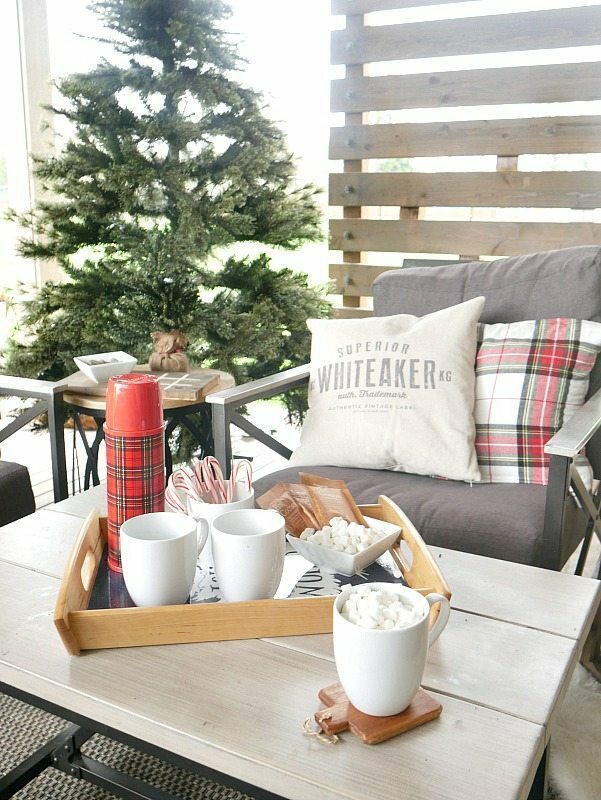 Today, I’m going to be showing you some Very Plaid Christmas Decorating Ideas and taking a look at our porch, entry way and outdoor living space (my favorite!). Let’s dive in! I showed off my porch a few weeks ago. I went with a more traditional look out here an added some fun festive snowflakes. 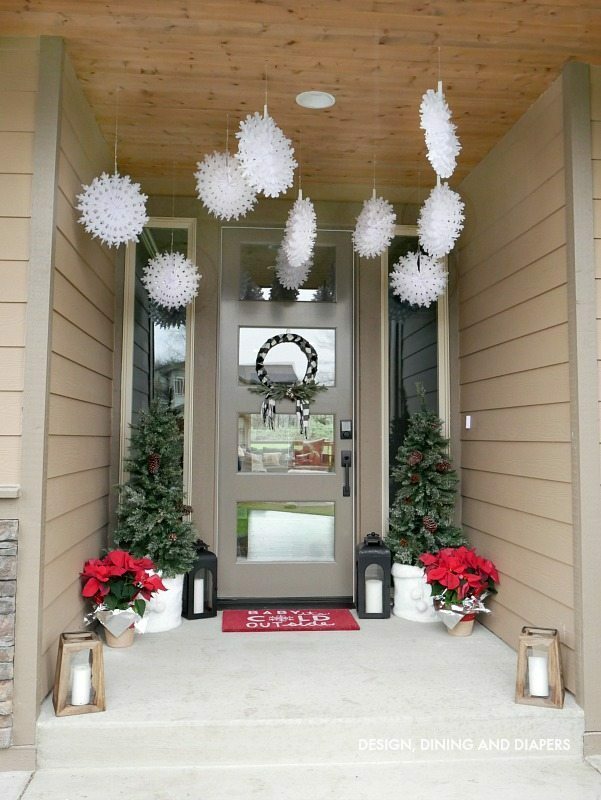 Some seasons it’s hard to spend time/energy decorating the entire house. 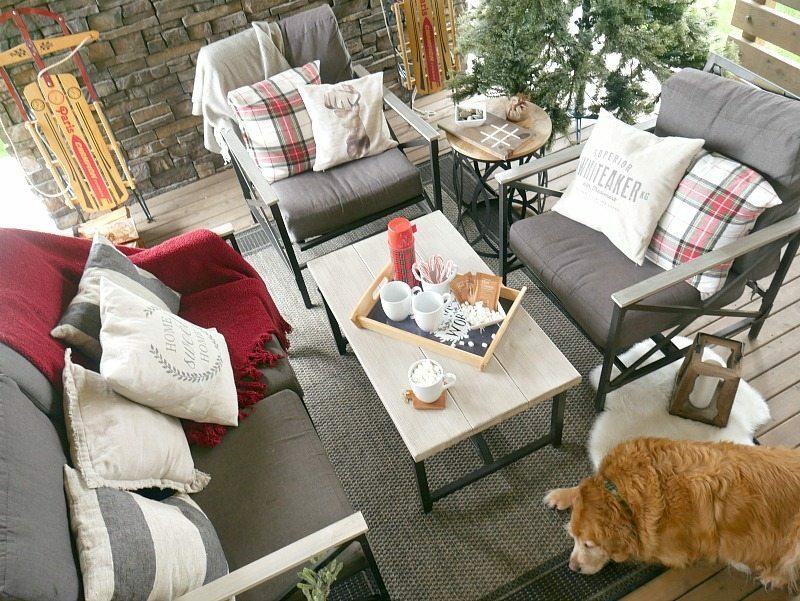 If I only have time to decorate one space, it would be our porch. 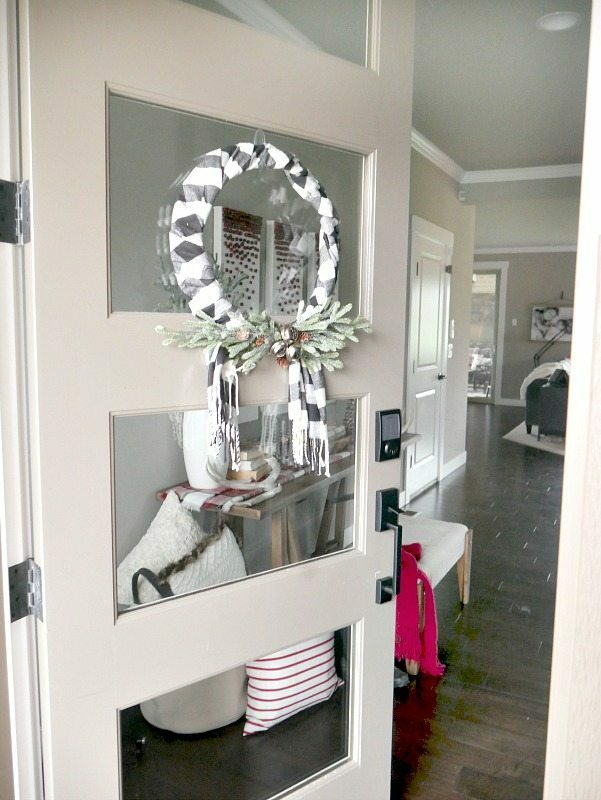 I love having a freshly decorated space to welcome guests. 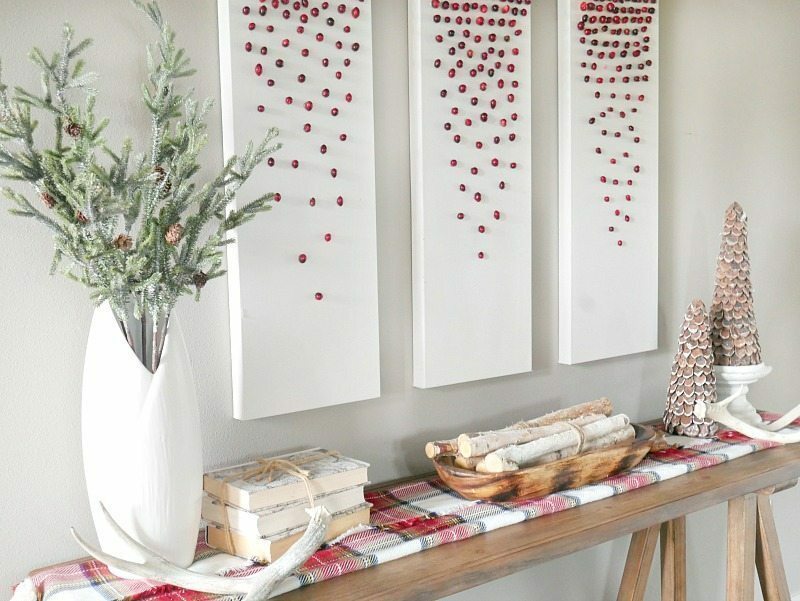 Last week I showed you how I made this modern artwork using cranberries! 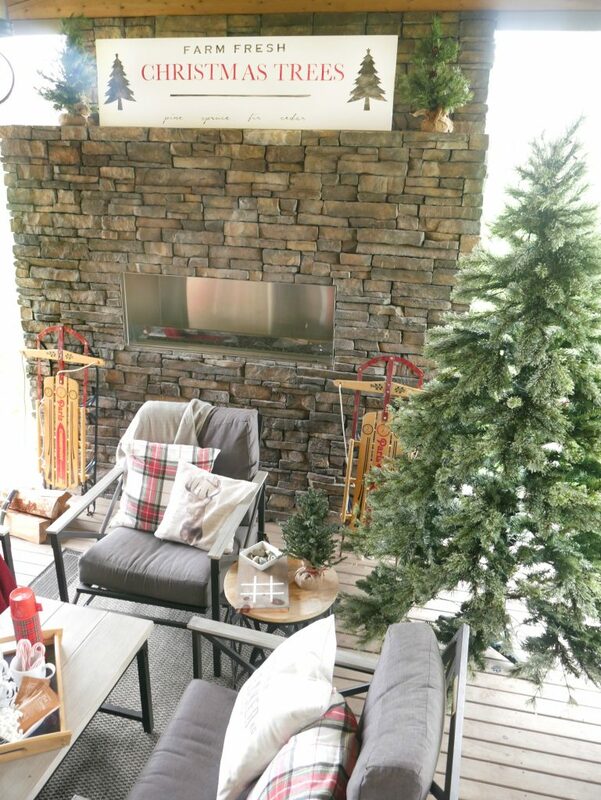 I decide to transition the fall vignette into a Christmas one using a little more plaid, pillows and greenery. People often ask me how I store all of our seasonal decor. 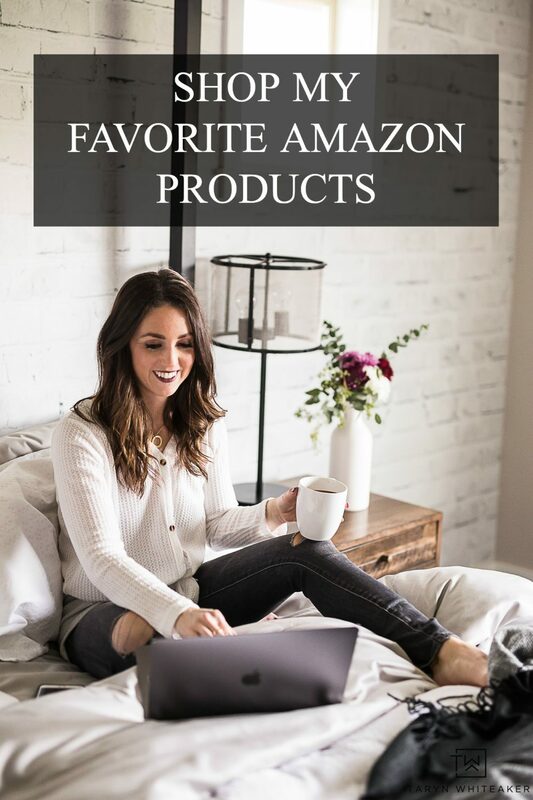 But the thing is, I often just use things I have around the house. 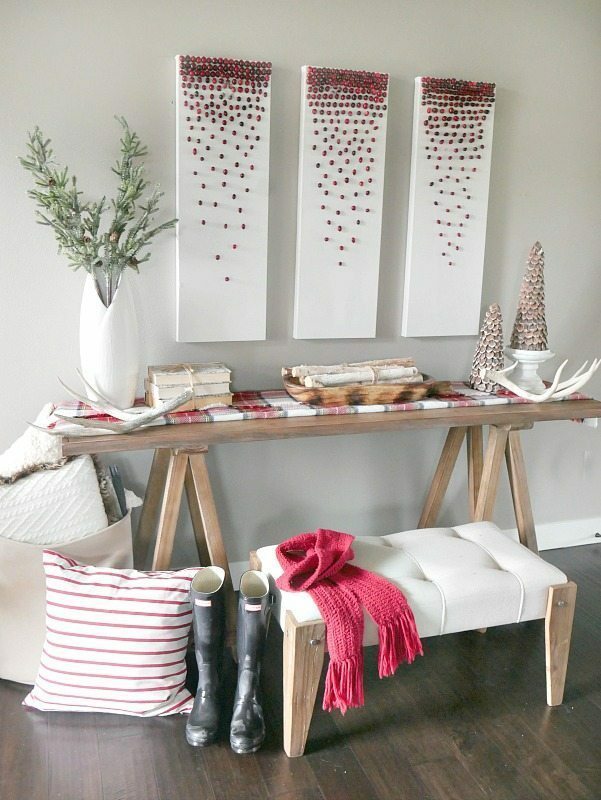 For example, I use my own personal scarf collection for seasonal decor allll the time! For this runner, I just flattened and folded a blanket scarf from Target and turned it into a table runner. 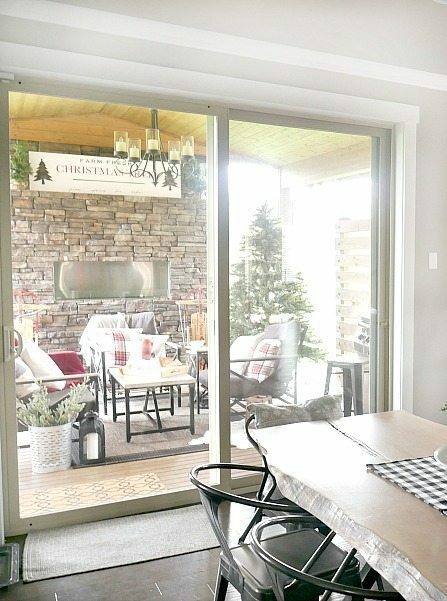 Next week I’ll be showing you our full living room with our tree and mantel, so today I’m going to walk straight through our house and take you outside into our outdoor living space! 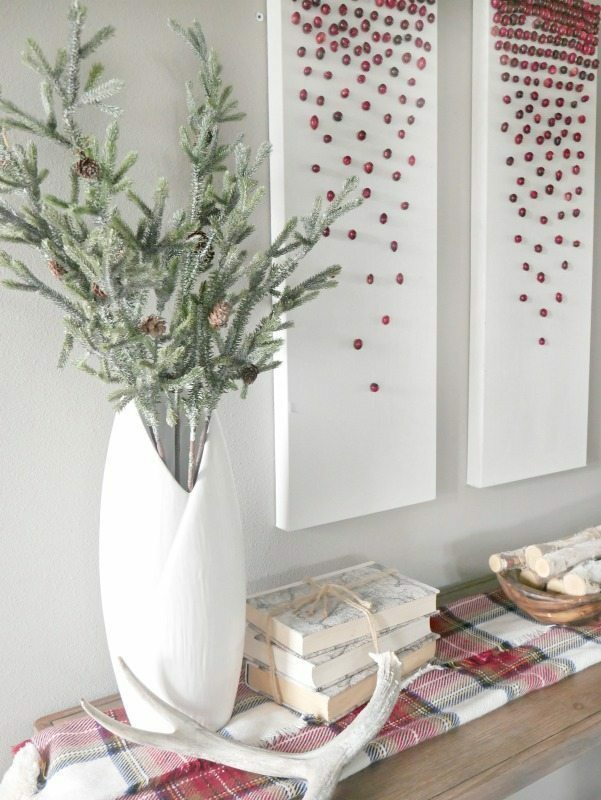 This is my favorite place in our home and my favorite place to decorate for the holidays. In fact, I just sat out here the other night with my kids roasting marshmallows and enjoying a nice fire. No matter how cold it is or how hard it’s raining, this space is always cozy! 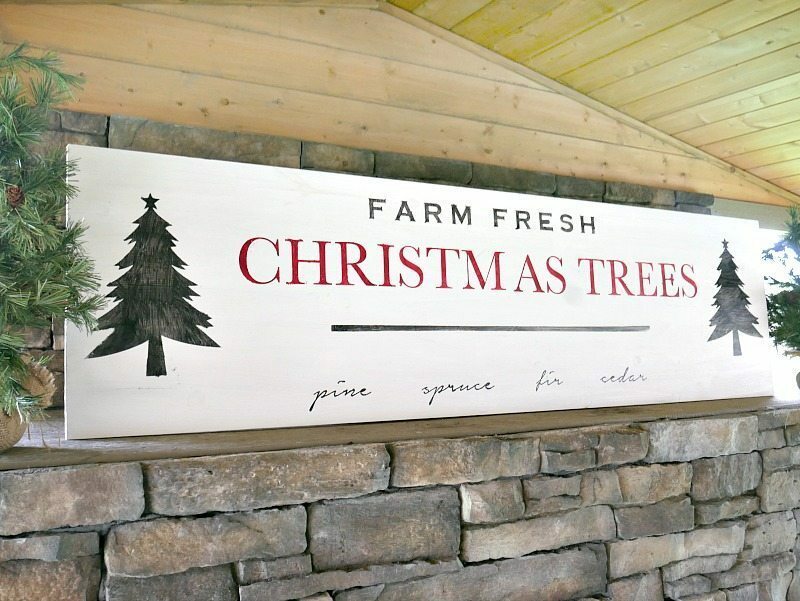 I wanted to embrace the outdoor nature of the space and bring in lots of greenery and trees and make it a little woodsy. 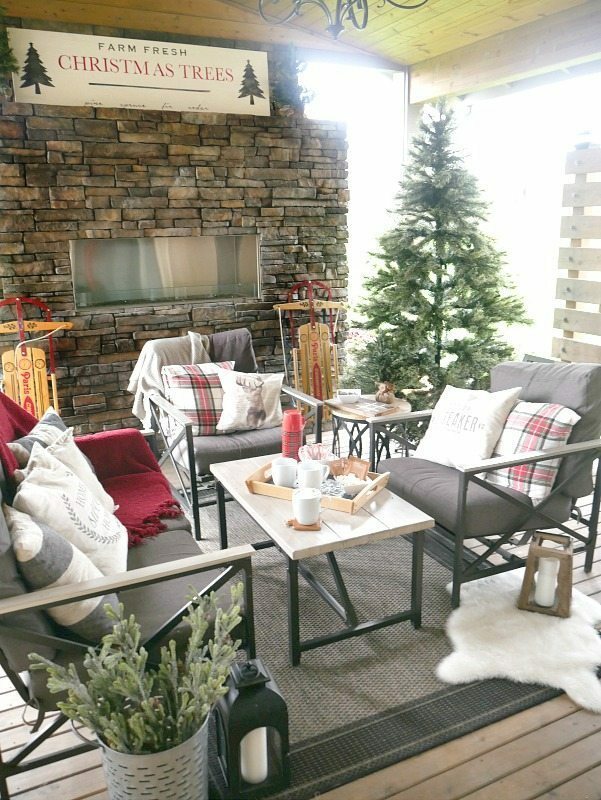 And the plaid pillows from Porter Lane Home are just the perfect touch. 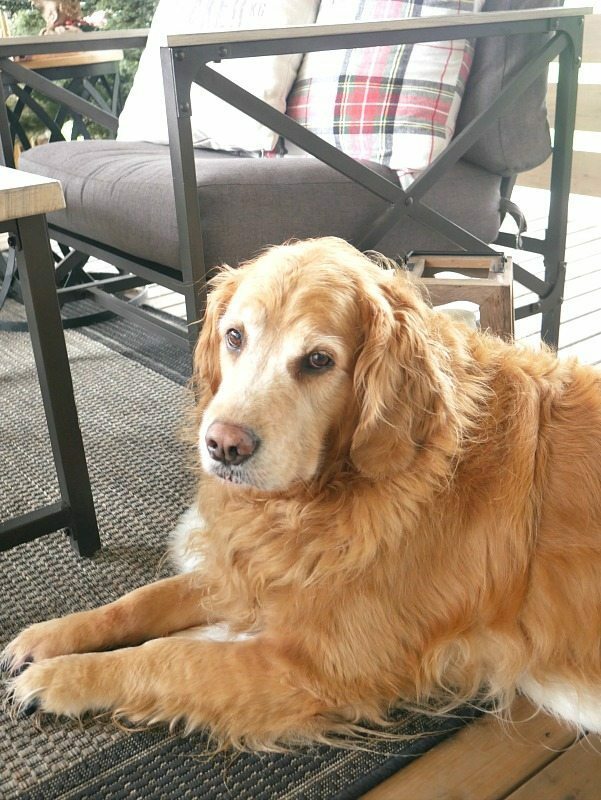 Of course our sweet Kona girl wants to be everywhere we are and enjoys staying cozy out here too! Looking forward to sharing more spaces with you next week! 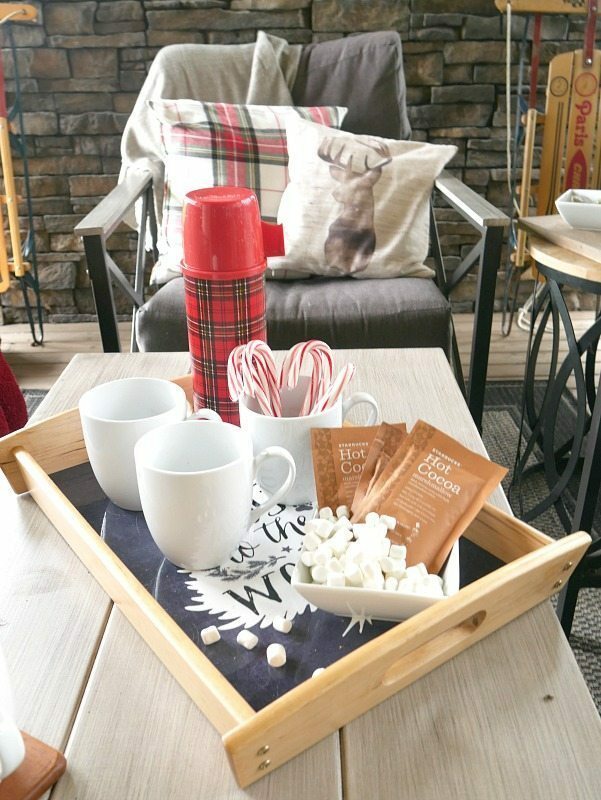 Now hop on over to Beautiful Treasures Blog for more Christmas inspiration and see even more below. LOVE! I am so envious of your back porch! Its so amazing! Loved the tour Taryn! Loving plaid so much right nnow? …just lovely….a very Merry CHRISTmas to you and yours ! I adore all the plaid! This is classic and cozy and just so lovely. Great work!! 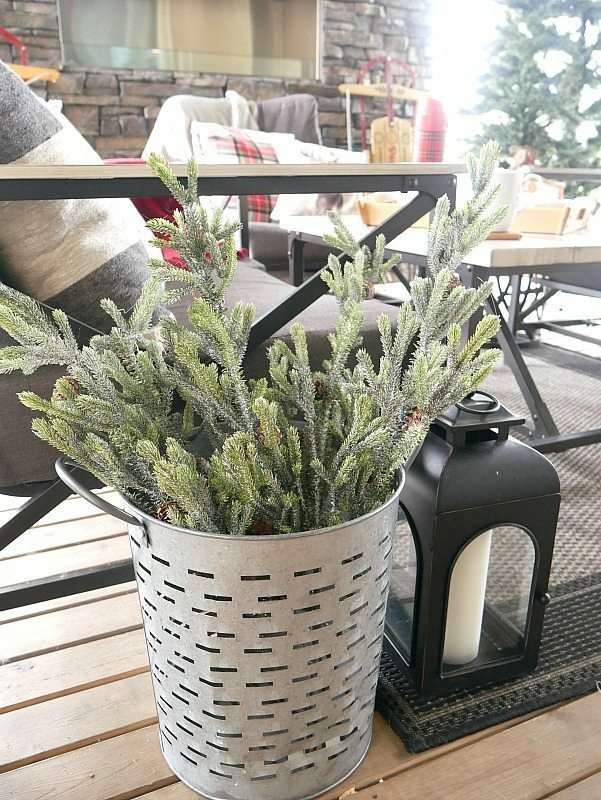 Your outdoor space is absolutely dreamy! 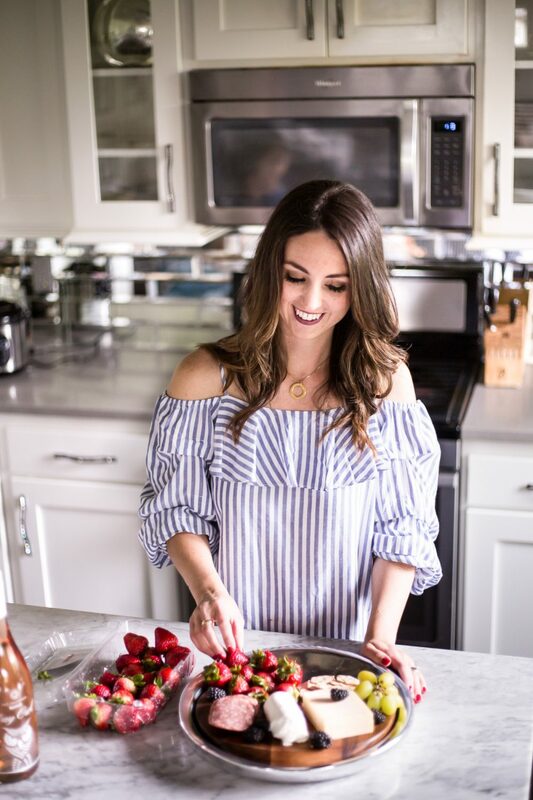 Hi Taryn …love your post today….fabulous as usual. 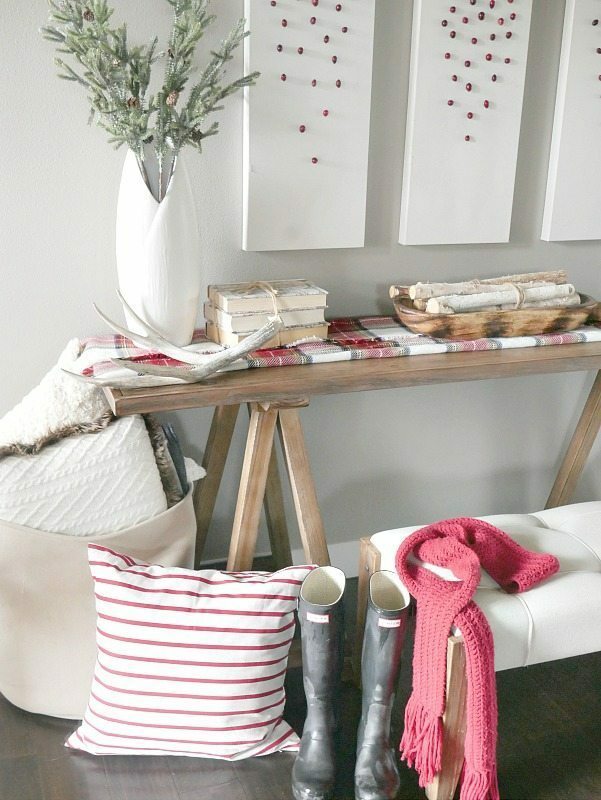 My favourites were the Christmas Tree sign and the red and white striped pillows …may I ask your source for these. Many thanks. You are also so helpful when I email you I always appreciate it…just wanted to tell you that. Your outdoor living space is pretty incredible!! Love all of the plaid and your sweet pup!! 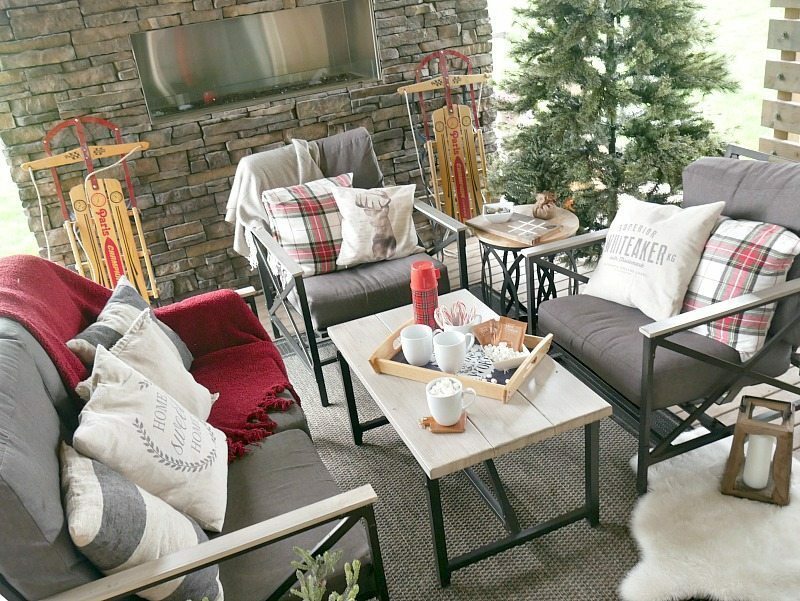 Your spaces are just beautiful and so festive. 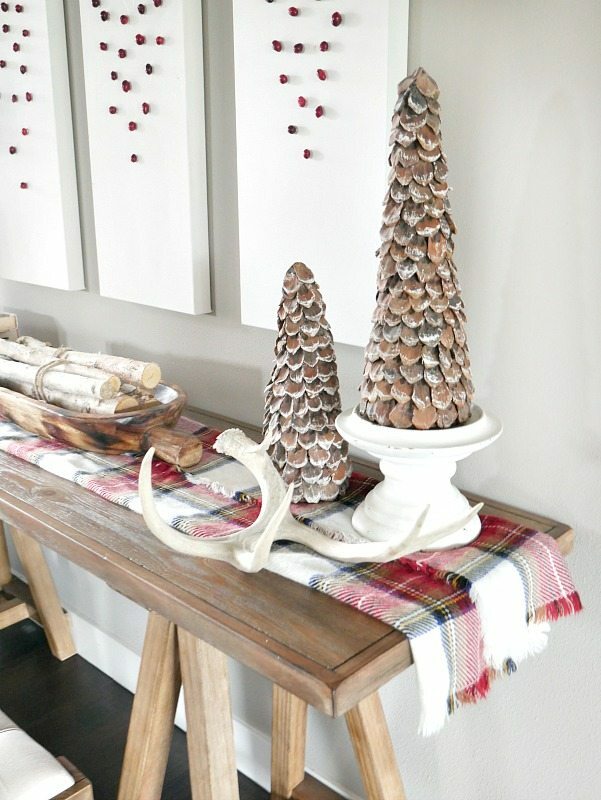 Could you please share where you bought the antlers / sheds on your side table ? HI! The antlers are actually real ones from North Dakota lol. My parents brought them back for me from their camping trip, they found them in a local outdoors store. Hi Taryn!! 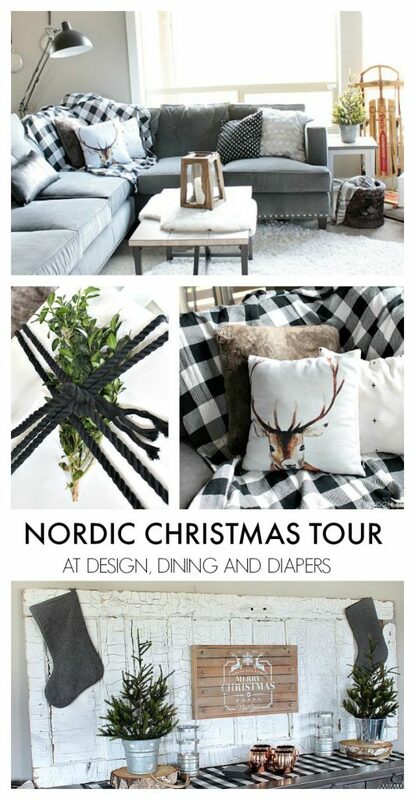 Loved this tour and your home is just fabulous! 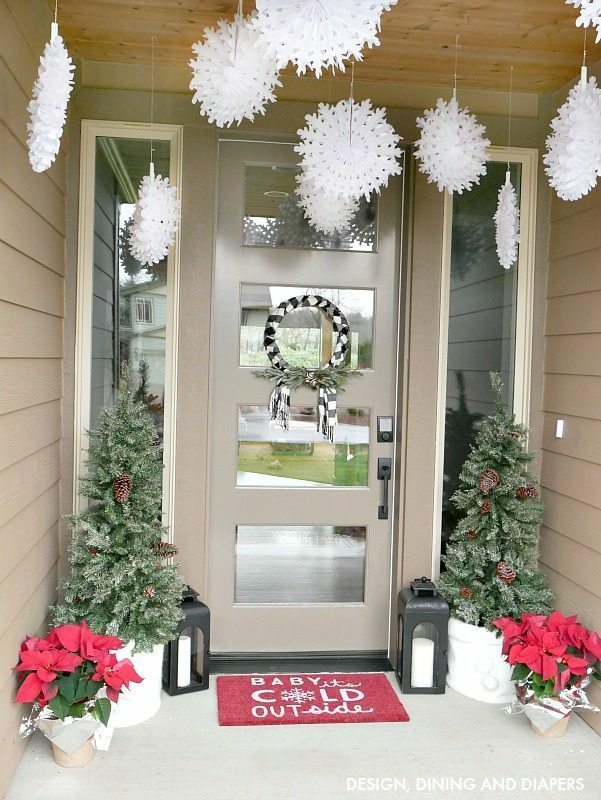 I’m a first time visitor to your blog and absolutely love all of your Christmas decor!! What a beautiful job you have done. I will have to find you on Instagram. Merry Christmas! You are so so sweet, thank you so much for visiting!